A regional organization is looking to bring equality in the STEM field by particpating in the People's Choice Award for the Google.org Illinois Impact Challenge. Kim Vrooman, the Director of Communications and Development at Girl Scouts of Southern Illinois, said if the organization is named the People's Choice Award winner it will recieve $250,000 to fund mobile STEM Labs. "We're hoping to bring STEM programming to their (girl scouts) communities," Vrooman said. "If we recieved the funding we would be able to develop mobile STEM labs." Mobile STEM labs are trucks that contain materials, technology, and equipment that girls can use to earn badges in STEM fields including, "Daisy What Robots Do," "Senior Special Agent," "Junior Product Designer," and "Brownie Home Scientist," according to a press release. 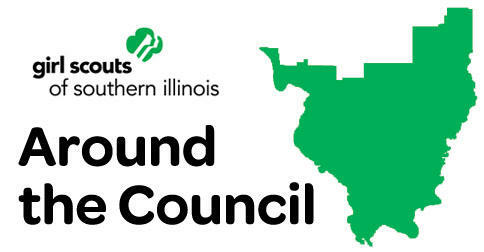 Vrooman said Girl Scouts of Southern Illinois serves approximately 10,007 girls in almost 41 counties in the southern part of the state. By having mobile STEM Labs, GSofSI could reach girls who live in isolated rural parts of the state. "STEM programming can impact in unbelivable ways, but with the limitations on transportation it sometimes makes it difficult to engage the girls in areas that are more isolated," Vrooman said. "By us being able to mobilize and bring programs to them, it takes transportation challenges out of the way and gives them program opportunties that will empower their futures and really turn them into the leaders of tomorrow." She said Girl Scouts of Southern Illinois needs the support of the community to secure the funding. Click here to vote.